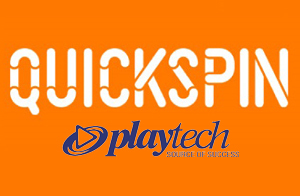 Quickspin, the innovative online slots studio owned by software giant, Playtech, welcomed a new executive to its team. Erik Gullstrand has become Quickspin’s new chief product officer, responsible for product planning and development. He will help diversify Quickspin into new global markets and devise new promotional tools. 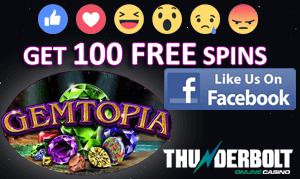 The company provides its games to multiple countries around the world, and its slots titles can also be found at online casinos that cater to South African players. Gullstrand steps into the shoes of departing Quickspin Joachim Timmermans, who helped co-found the company and who announced that he was leaving very recently. Timmermans noted that the company was “doing great” and that it was “growing healthily in both revenues and people”, but that he felt it was time to move on from the business. Erik Gullstrand has been with the Swedish based Quickspin since 2012 and has held several positions, including head of account management, head of development and VP of business development. He said that he was excited to accept the new challenge. “Having been at Quickspin since its founding days, I see this appointment as testament to all of the hard work myself and my fellow Quickspinners have put into the building of the company to the leading slots specialist it has now become,” he said. He called Gullstrand “an invaluable asset” who has been dedicated to building Quickspin into what it has become today since the company’s founding in 2011. “We have very exciting plans for 2019 and are confident that Erik is the ideal person to execute that strategy,” added Lindberg. Quickspin has 45 slots on its platform, 40 of which are available as mobile slot games. The company plans to release a total of 13 new games this year. Popular titles in its portfolio include Divine Dreams slot, Ivan and the Immortal slot and Dwarfs Gone Wild slot. Look out for its latest title, Ticket to the Stars, coming soon.